My husband also loves the chocolate/peanut butter combination and I know he’d flip for this! Oh holy yum! This sounds out of this world delicious, and I hope you ate several slices of this delicious cake!! 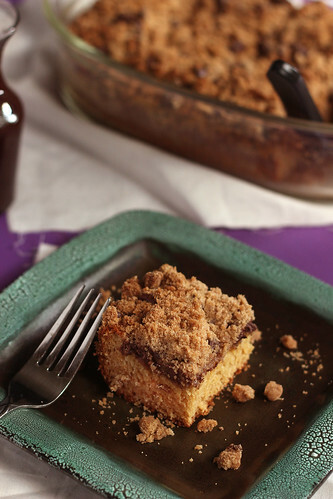 PB & Chocolate in a coffee cake, go together like peanut butter and jelly!!!!!! 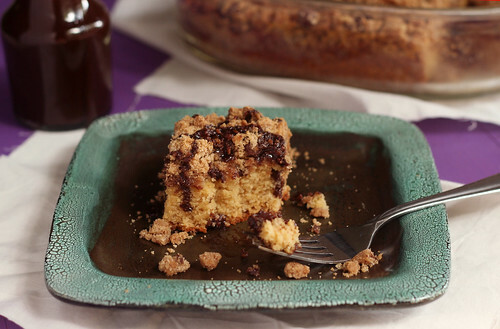 Now that’s my kind of coffee cake! Looks so delicious! Wow, this sounds amazing! I will definitely have to give this one a try.